Here I am with my second post of today. The weather is still miserable out side, so there's not much to do except watch TV or update my blog. Well it's not much of a contest really, seeing as though there is not much to watch on telly these day's. I know it's early for Handmade Monday week 5. But as you can see I don't have any pressing matters to attend to...... Pop over to Wendy's blog at 1st Unique Gifts , and have a look and see what other crafters are up to. There are some very creative people with some beautiful creations. I have started to join in with challenge blogs because I get get a card making block some times. I'm sure most crafter's run out of ideas from time to time. I find the challenges give me a subject to work with and make me think, which makes my brain hurt ( what brain I hear you cry !!! LOL ) . This card I made a couple of weeks ago. I've just got around to posting this one. The base card is a cream pearlesent card stock. The background panel to this is double embossed pearlesent card. The stamps used are from KanBan. I stamped using Versafine Vintage Sepia and coloured very lightly with Frayed burlap Distress Ink. I coloured the arm with a flesh alcohol ing marker. You can't see it too well in the photo but I have added a touch of Glamour Dust to the skirt. I used Nestabilities oval to cut around the stamped lady, making sure the skirt and the head dress was behind the cutter so that they wouldn't get cut off. 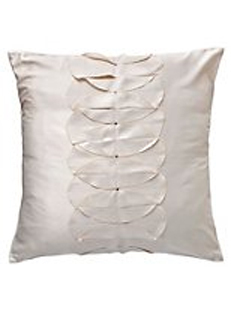 I then backed the image with a scalloped nestie. Not my normal kind of card but I am happy with how it turned out. Every now and then I wonder a little way from my comfort zone. Ok that's all for this post. Thank you again for dropping by to take a look, I hope you like it and I will see you again soon with another creation. 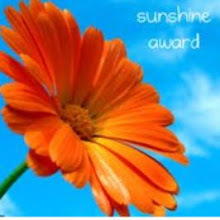 Don't forget to have a look at 1st Unique gifts blog. It's just a short post today. A couple of weeks ago I got in stock some natural card stock. It doesn't look very exiting when you see it but it is absolutely super to work with. Especially if you like the the rustic look. I made a couple of daisies using the Cuttlebuge daisy quilling set and made these to little cards. They are great little thank you cards when you want a card in a hurry. That's all for now. Thank you for visiting and I will see you again soon. It's time for Handmade Monday . Why not pop over there to Wendy's blog at 1st Unique Gifts who by the way started it all off , and have a look and see what other crafters are up to. It's also time for a Splitcoaststampers CAS pay them a visit and see some lovely cards. Phew its been a bit of a busy weekend for me. I was at the NEC visiting a trade fair yesterday. So no time for making anything. Saturday I made a card which I'm chuffed with because it took me back to my first card making love of punch art (using paper punches to create your image). You can see that post HERE . The background I have done by masking and sponging using Memento ink pads. The image used is some die cut decoupage that I have ( I cheated with that part.) The wording is computer generated. 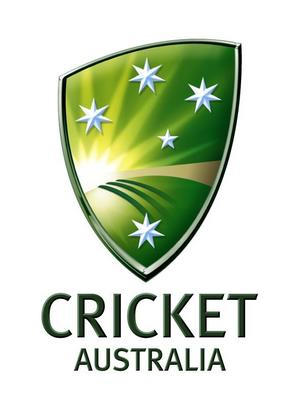 I got the idea for the background from the Australian Cricket logo. I hope my customer likes it. I'll have to wait and see. Well that's all from me so far. Thank you for visiting and I will see you again soon with another card. I have just got back from the Stiches Trade Fare at the NEC in Birmingham, . WOW what a day I've had. I have met and chattered with Barbara Gray of Clarity Stamps, she is so lovely, I could talk with her all day. I saw Tim Holts there on one of the stands, couldn't get near to see what he was doing though. There was so much to look at I think we went round about four times or more. 1) I love my card making it keeps me sane. 3) My favourite places to visit are Dovedale in Derbyshire, The lake District and Glen Coe in the highlands of Scotland. 5) I love walking but don't walk nearly enough. 6) I like to watch on tv things like CSI and NCSI, Doctor Who and nature programs such as natural world and that sort of thing. Well that's all from me for now. I will see you all again soon. Thank you for taking the time to visit. Oh well that's what you get with the British weather I suppose. Also as I was looking out my window this morning I noticed one solitary little snowdrop in the garden, I thought they grew in clumps. Maybe I'll get some more come up next year. Talking of snowdrops. I made this card today after visiting the Less is more blog site, to see what the subject is for their next challenge is, which, as it happens is Spring. 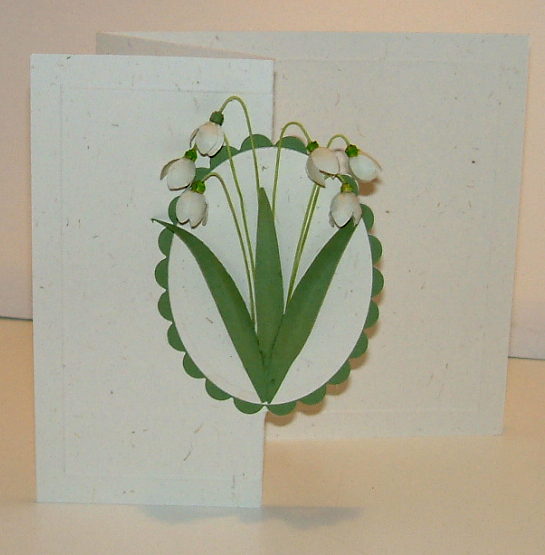 Chrissie has created a beautiful card with digi stamped snowdrops. Her card gave me the inspiration for my card. 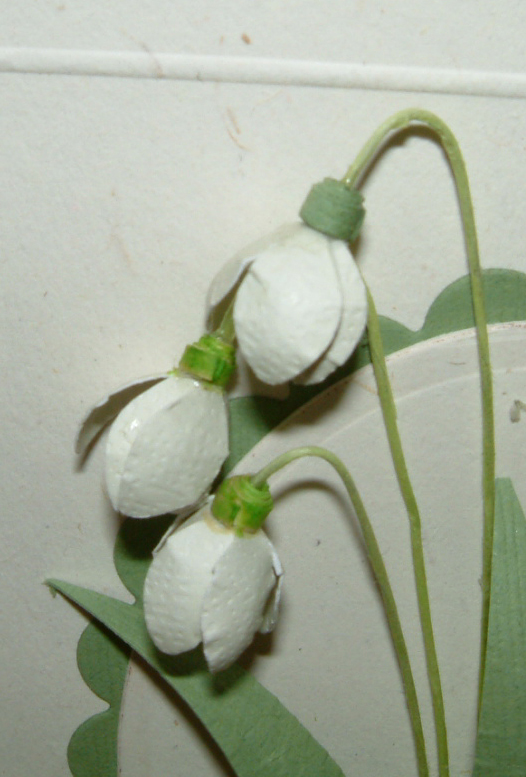 I don't have a stamp with snowdrops on, so I thought about making some, using a punch. When I first started making cards I was useless at stamping. So I used punches instead and found I was much happier with the results. I just love the 3D effects you can get with them. I hope you like it, and that it fits into the clean and simple/ less is more challenge. Well that's all for now, thank you for visiting. See you again soon with another card. I have cut the hearts from corrugated kraft card. The sentiment is computer generated. Every thing I have to do my card making is at my shop, so don't have a craft room at home any more. All I had at home was a piece of the corrugated card left over from another project I brought home to do, a pair of scissors, some craft glue my DH had been using, a pencil ( there is always one in the bottom of a drawer ), a computer with printer and a pack of card blanks I had forgotten about. Now I had two corrugated hearts, I need a background for them so I generated a red square in photo Shop with a red border around it and printed it off on to a spare card blank. I then cut that out with my scissors. I then had to think about the sentiment. I played about for a while until I was happy, created the border then printed that off onto another card blank. All I had to do then was layer up the background and the hearts and my card for my DH was finished...... Phew..... I hope he likes it. Well that's all from me for now. Thank you for visiting. See you again soon. I have made todays card with a challenge in mind. It's not something I normally do but when I saw this challenge blog I just fancied having a go, and why not...... I like a challenge now and then. Hop along to the Less is More blog site and see some lovely cards made by some very cleaver people. Or enter the challenge your self. The rules are to make a clean and simple, one layer card, using a tree or flower stamp. I stamped my image onto my card base, then embossed a circle with one of my Nestabillities die cutters, to high light part of my stamp. I hadn't cut out a mask of the floral branch, so instead of sponging the background I very carefully used my water colour pencils to colour around the image keeping the nestabllities circle in place so I got a nice crisp edge. I then coloured in my floral branch with a mixture of my watercolour pencils and distress ink. Then stamped my greeting. To finish, I embossed a double border around the outer edge of the card. When I thought of this card, I was going to leave the parts of the image out side of the circle uncoloured. When I did this though it didn't look right so I went ahead and coloured in the whole of it. I was then much happier with the result. That's all for this post, let me know what you think. I love to hear from you and thank you for visiting. See you again soon. It's Monday and it is time for a little spot called Handmade Monday. Started HERE by Wendy of 1st Unique Gifts. why not pop over and see what other people are making in their blogs on Mondays. The bench is from the Flowersoft range of stamps. The Teddy is from the Trimcraft range. then position this on top of the image on the card. Now you can stamp the bench. This takes a bit of practice. If you want to sponge in the background mask off the bench in the same way as the teddy. You will have to leave the teddy mask in place as well. then you can sponge your background and add the grass stamp to finish. I then water coloured the image and stamped my greeting added a piece of ribbon then I was done. Ok here I am again with another card. The image I have used for this card is a peeloff. I'm not a big fan of peeloffs I must admit, on this occasion though, this one fits the bill. However I do love silhouettes and this one was perfect for what I wanted. I used my heart mask again as well as some torn bits of paper to create the sun set beach background for my silhouette couple. I then cut out the heart and sponged around the edges with distress ink and then mounted it onto the card with foam pads. Stamped the greeting and then added three little hearts to finish. Another update for you to look at. I don't know about you but I love acetate cards. The other week I came across a Rose background stamp, it was an absolute bargain. As soon as I saw this stamp I knew what I wanted to do with it. I stamped the acetate with silver Stazon, used a nestability's label for the greeting and a Martha Stewart border punch. I then added a piece os silver ribbon and a silver butterfly mounted onto some of the spare acetate with some gems to decorate. For this card I stamped up with white Stazon. I know it looks pink that's because I had been naughty, and not cleaned my stamp properly from an earlier experiment, I had been using a red ink, this then tinged the stazon pink. Luckily I liked it so worked with it and added some red roses. I thought I would spend it updating my little blog and share some of my ideas with you. I have been playing about with stamping lately and using masks. In this card I want to show you I made my own mask, made just from a piece of paper. I then stamped through it and then sponged it as well. For this card I use Distress Ink "Aged Mahogany "
By making your own masks to use with stamps you are increasing the versatility of them. I made this card with Valentines Day in mind but it could easily be used for a wedding anniversary. A couple of weeks ago I was asked to do a card for a young lad, for his 18th birthday. I always struggle with male cards. Luckily the young man loves the classic Mini car. I used my Pazzle Inspiration to cut out the 18 road sign and the mirri card frame. I sponged the stylised background by masking off areas for different colours then used a die cut decoupage Mini for the image. The wording was computer generated. Well that's it for now. Thank you for visiting, see you again soon.